Revel in me...: Fave purchase in Bangkok. If someone throws me a pair I would surely wear it! A friend of mine has the moonwalk as well and she said it's surprisingly comfortable! haha. Loved how you styled it! Dear, I think you blog header links it to a dot-com website instead of your blogspot page! free shipping too. so i can never understand why people have to go all the way to wherever to get it. 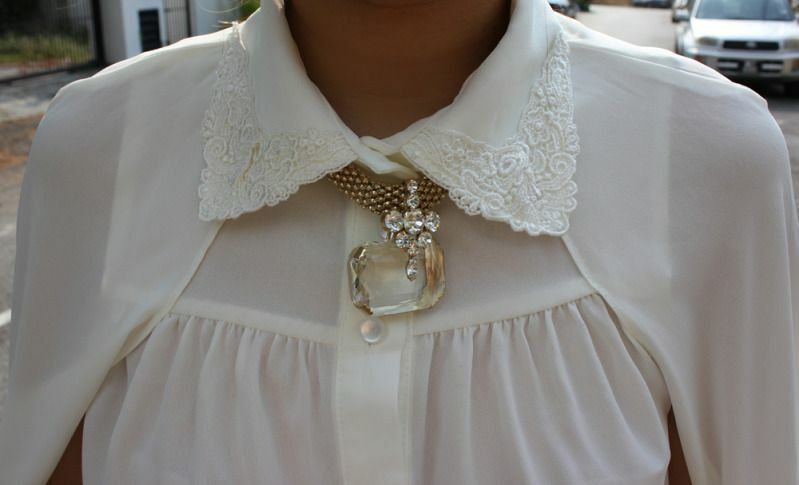 Close up shot of the shirt and necklace is so pretty! Which inspired me to pin a crystal brooch to my gold beaded necklace. Your jewelries are always so one-of-a-kind, love seeing them! Love the way you styled this outfit. There's always an element of surprise to your outfits and in this case, your shoes :D also, you have the 'fashion blogger' pout down to a pat! Hi Wen! Just wanna enquire, how did you go about in Korea?